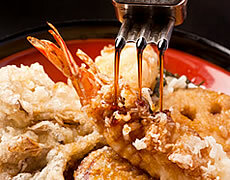 Please enjoy our seafood and vegetables, battered and deep fried tempura at Nihonbashi Karari! As the ingredients used here are fresh, it adds extra deliciousness to our dishes. The sauce is addictive as it provides a distinctive flavor that matches everyone’s taste! 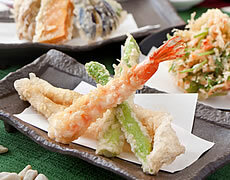 Tempura, especially crispy prawn tempuras are one of the most popular foods in Japan not only for foreign tourists but also for Japanese local citizens! 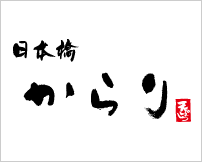 You should give it a try!